They like Settlers & Escape: Curse of the Temple. They hate anything with words & complexity. King of Tokyo is a stretch because of the wordiness. 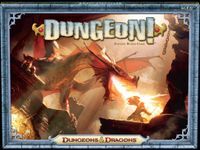 Lords of Waterdeep is unlikely to happen with "too much going on." Ticket to Ride is also out because they don't like trains. Pandemic & Forbidden Desert were kind of "meh" - they didn't like the coop thing very much. On the PC, they play Minecraft, Animal Jam, Starstables and other "girly stuff." Any ideas as to what might strike a chord? They really want to play more games, just haven't found anything that sticks. My 12 year old likes Sushi Go! and Farmageddon, although the latter may fall into the wordliness category. My kids really like the move from SoC to Stone Age. 1) Rise of Augustus - a fun version of bingo. 2) Backseat Drawing - need at least 3-4 players. 3) Garden Dice - with GD card expansion. 4) Apples to Apples Kids - not too wordy. Needs at least 3 players. 5) Dixit - needs at least 4 players. A bit more complex, but she enjoys, and is quite competitive playing The Castles of Burgundy. We're also looking into possibly picking up Concept. Seems like a fun charades-like board game. 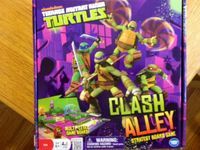 Pickomino - takes the Push your luck from King of Tokyo but without the words. Alhambra - Similar to TTR but with palaces instead of trains. Don't know the games by the others well enough to comment. Alhambra is pretty and at the right level. Isla Dorada is really fine-looking and was a big hit with the girls & women in our group who, with one exception, aren't heavy gamers. Finally, you might want to put Rococo on your list for a couple of years from now. There's a nice, medium-weight Euro hiding behind that dress-making theme. Pimp it out with spools of thread or bits of fabric/lace and both you and your girls will be happy. EDIT: removed "Forbidden Desert". Ooops! She also will jump at the chance to play any of our party games, like Say Anything, Telestrations, and Snake Oil, but they're not as much fun unless you have at least 4 players. They are lucky to have great games like this. I remember back in my day it felt like the only thing out there were variations on Monopoly and kerplunk. If they are just at entry stage try something like dominion. If they like Settlers of Catan than I'd hope you've considered Carcassonne. I don't know if the theme is interesting, and it might be too complex by themselves initially, but Circus Martians is a great game - and if you play the Martians a couple of times first then they'll get the idea and be able to play against you and then be able to play by themselves. Sushi Go! a fun little card drafting game about putting together a meal of sushi. It even includes pudding for dessert. Zooloretto a tile drafting game about managing a zoo. 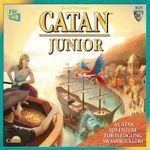 There are a couple of copies available in the BGG marketplace. The above suggestion of Splendor is very good. CSI just got restocked. Istanbul might also work. Its a twist on worker placement. Its a light game and the first to collect 5 rubies (6 in a 2 player game) is the winner. Maybe try Going, Going, GONE!. I have seen this work with a wide variety of demographics. A little more strategy but a theme that works for everyone: Zooloretto. You could also maybe try a semi-party strategy game that works great with families is Dixit. Thanks everyone for your suggestions, I'm the friend of his that has these kids in particular. DiXit huge hit in our house just got it a week ago and all expansions after how much we liked the stock game. King of Tokyo gets played a lot and we found out today we've been doing the scoring incorrectly so it may increase that games playability. I myself love Talisman and pretty bummed my daughters hate it LOL. Maybe someday anyhow. Mermaid Rainis basically The Little Mermaid in board game form. TMNT! That will go over well as my wife is a nut for them since that's a big one from her childhood, yes I robbed the cradle. 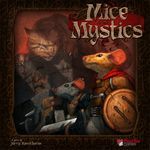 Mice and Mystics... that caught my eye and got caught up with the review over at shutupandsitdown where they said it was very unforgiving, having to start over from scratch a lot. It still looked fun to me. Thanks again everyone for all these suggestions, a lot to look at! I know my six year-old girl loves Dungeon Petz though I admit we have to Nerf the rules a little for her (e.g. imps don't need coins for the shopping areas.) Just the theme of raising and selling Petz overcomes the complexity. Our other favorite is Flash Point: Fire Rescue. And we're eagerly anticipating My Little Pony Connect Four. My wife and I had that Dungeon Petz game in our hands at a GOB Retail outlet and we saw the 13+ age recommendation... is that spot on? Do you think 10/11 year olds can swing it with the default rules? Selfishly, I love fantasy/sci fi themed games but unfortunately the first foray that way "Talisman" didn't fare so well with them. The rules are very simple yet they felt overwhelmed for whatever reason by the game.